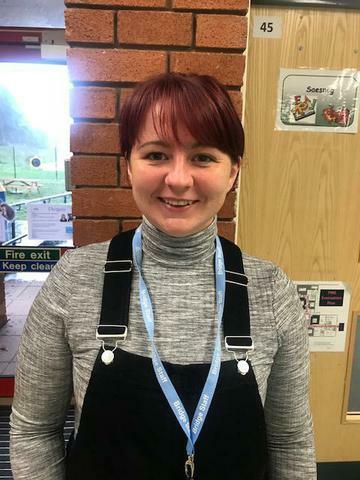 The Bridge Alternative Provision is very pleased to welcome a new member of staff, our first Support Officer for pupils from Welsh Medium schools. Rachel Jenkins, a very experienced school Support Officer, has joined us this September to offer support with teaching and learning through the medium of Welsh. She will be working with referred pupils who are placed in the Bridge across all Key Stages but predominantly focussed on KS4 pupils, allowing them to continue with their studies for public examinations. Rachel will link closely with the mainstream school for learning materials and we are looking forward to also using her to develop our use of incidental and conversational Welsh during the school year. We also have a bigger teaching staff this term with additional teaching staff to support our Y10 an 11 learners in English, Maths and vocational subjects and are also recruiting for an additional support member of staff to offer personalised therapeutic work to KS3 pupils who are returning to school. Having had a very successful 2017-18 and very high levels of personal achievement and success amongst our outgoing Y11s, we look forward to another great year going forward.